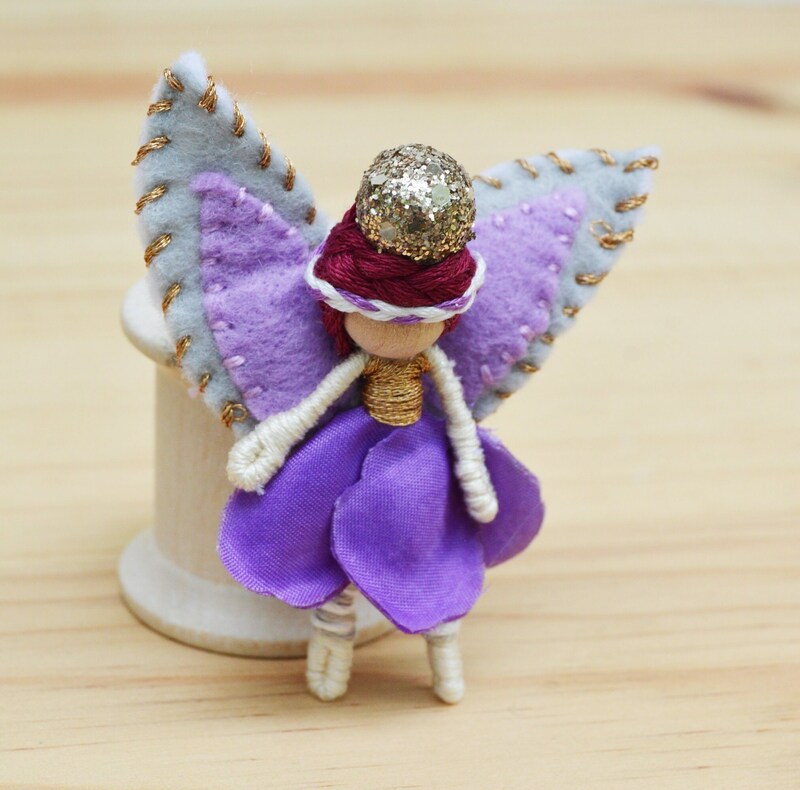 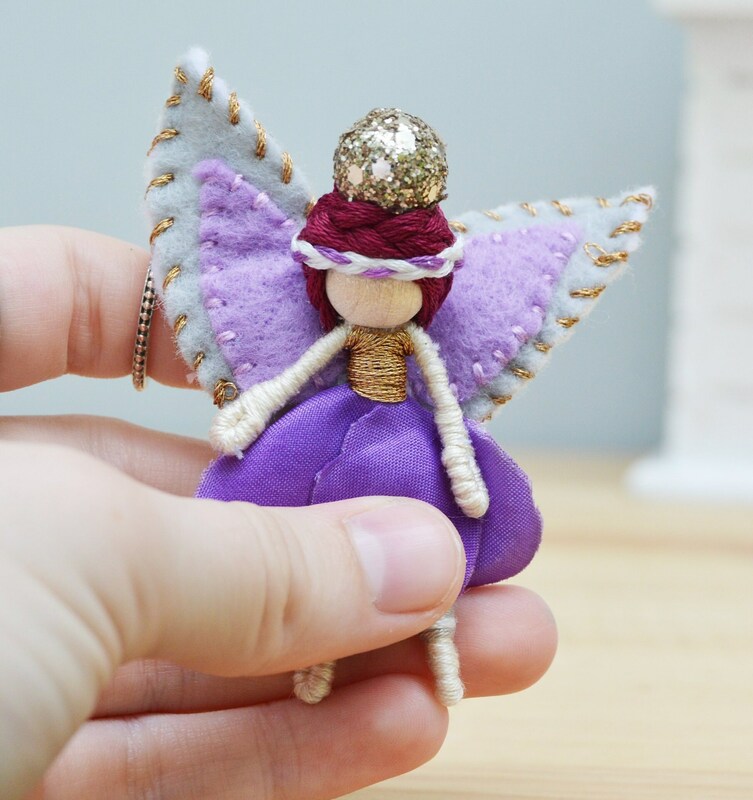 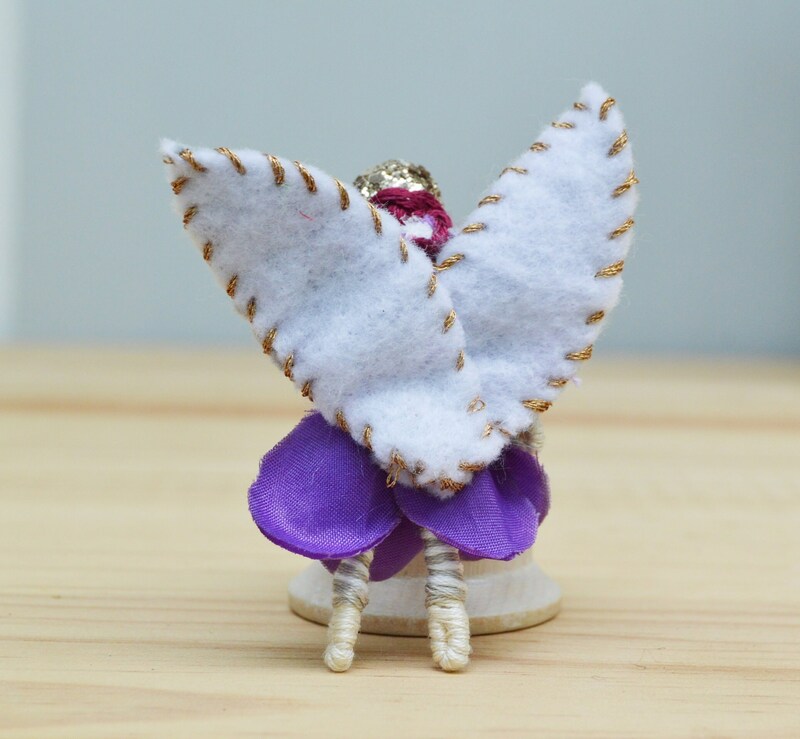 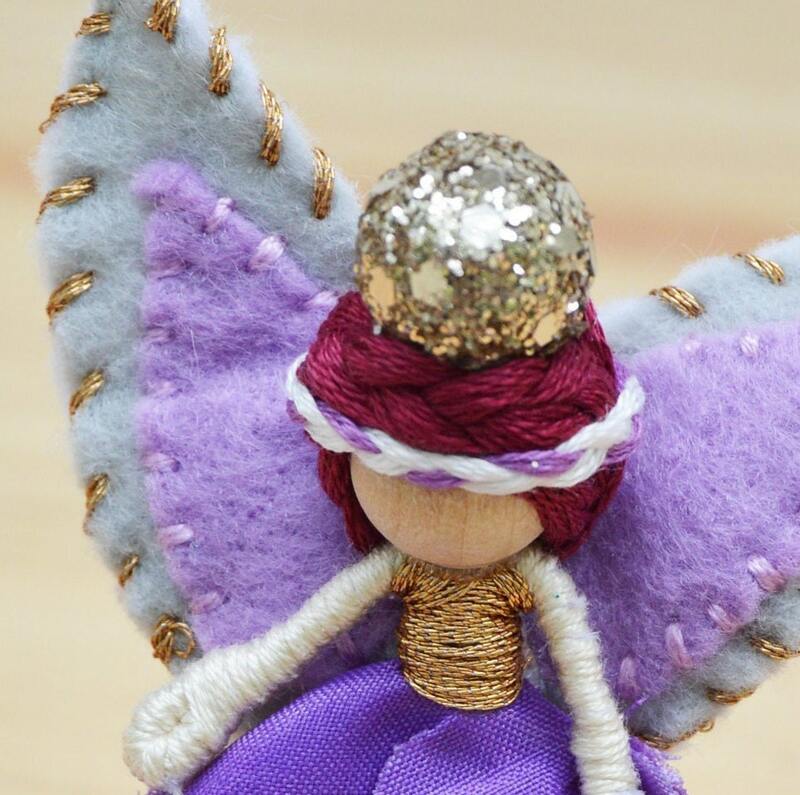 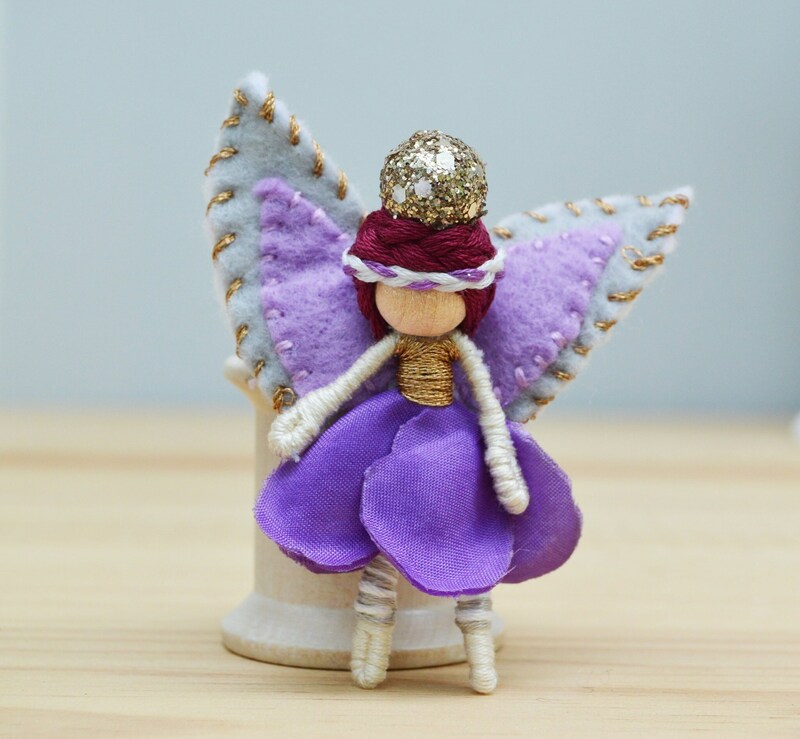 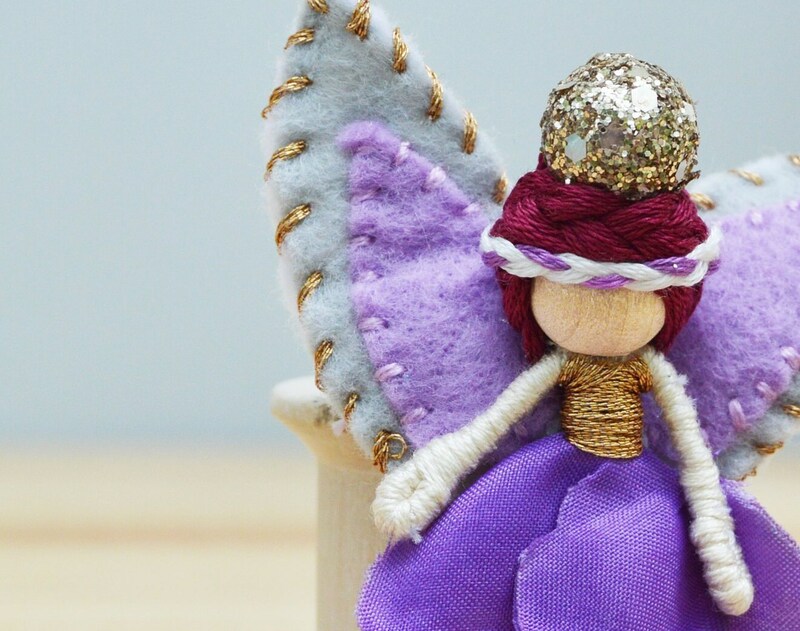 -Meet Empress, a one-of-a-kind miniature flower waldorf fairy doll ready for a fairytale adventure! 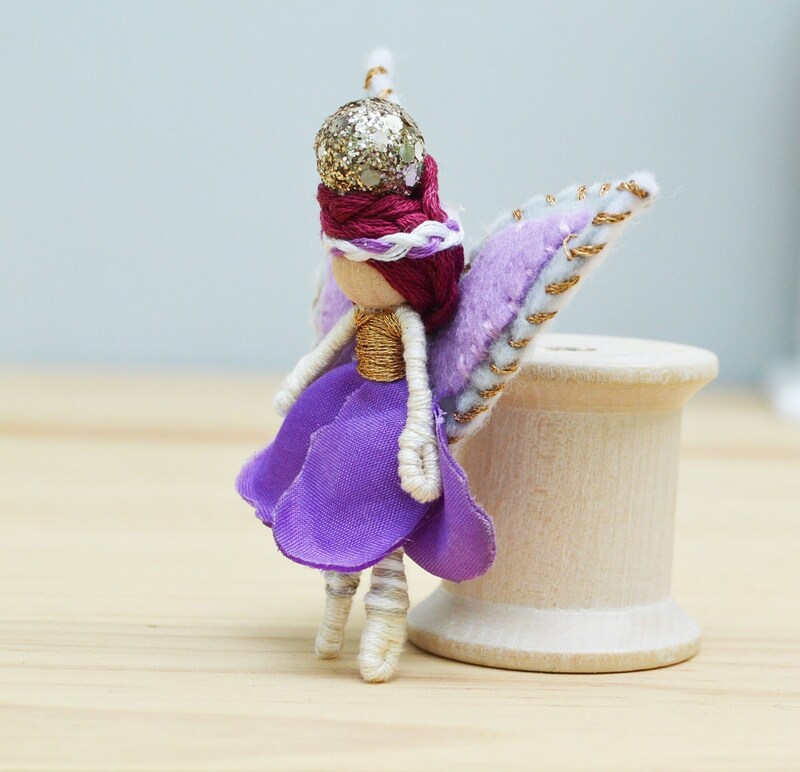 - Dressed in: purple, gold, and grey. 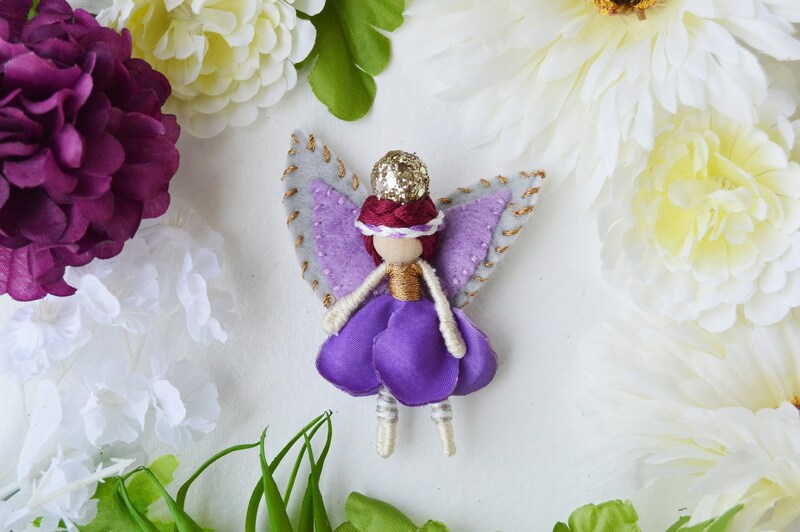 - Materials used: faux flowers, polyester felt, and faux berry.